A pillion safety belt with patented comfort grips allowing a passenger or child to hold on safely. Doubles as a kidney belt. 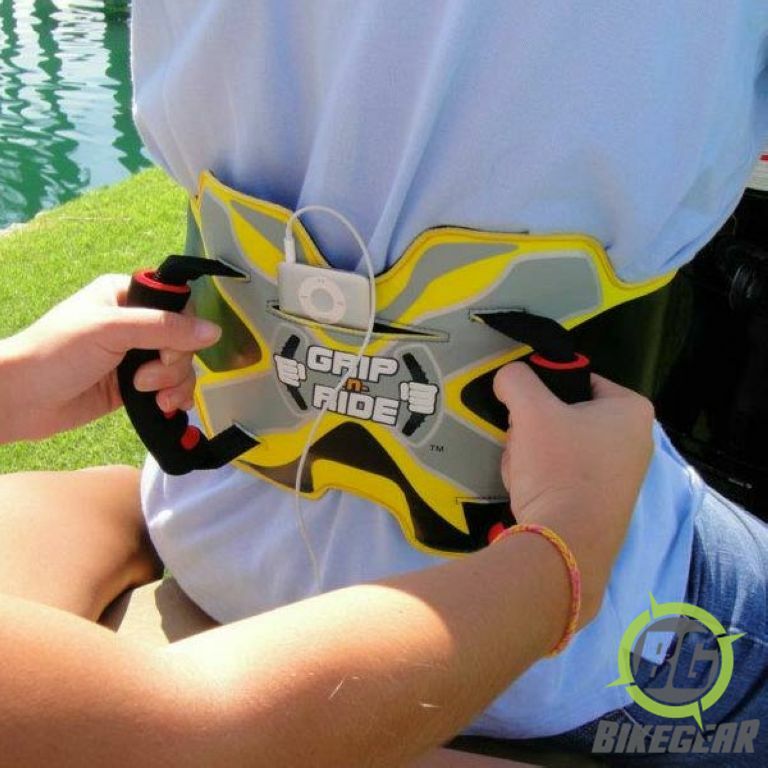 Manufactured in the US , the Grip-n-Ride™ Motorcycle pillion safety belt system, with patented comfort grips and grip support bones are stylish, lightweight, and durable belts that allow a passenger to hold on comfortably to the rider, particularly if it is a small child that cannot get their arms around the driver. Carrying young or inexperienced pillion riders on motorcycles without a restraint system has always been a concern due to their potential vulnerability and the possibility of injuries. As an example many children simply fall asleep, dangle their feet or move around unbeknown to the driver. 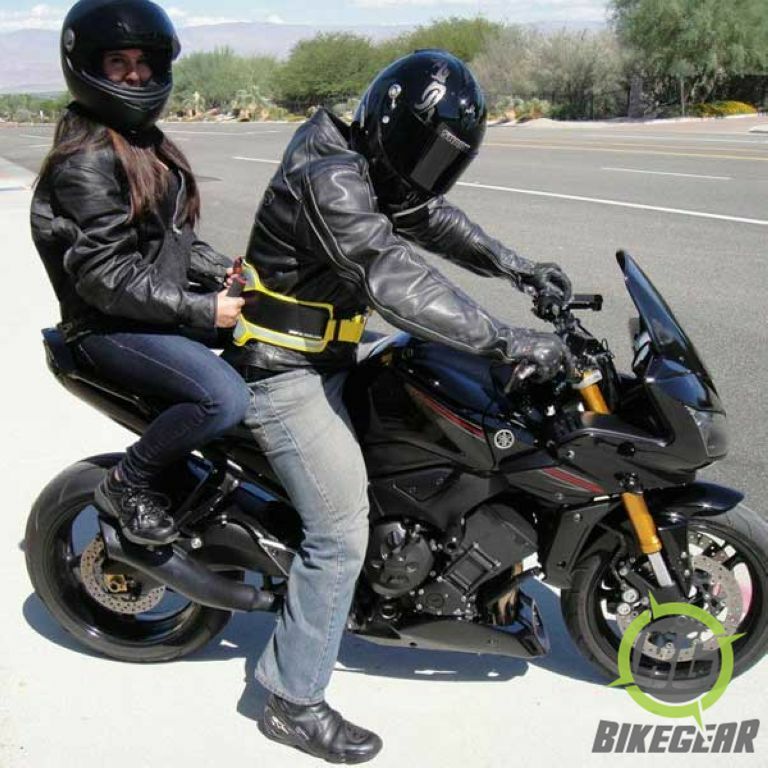 We have had many queries for a pillion safety system and almost everybody interviewed has carried a pillion at some point with each rider having mixed views about the experience due to a variety of factors. • The riders’ confidence in themselves. • The sort of bike they are riding. • The nature of the ride: demo run, touring, quick ride around the block or a ride out with other motorcyclists. • The ability and confidence of the pillion. 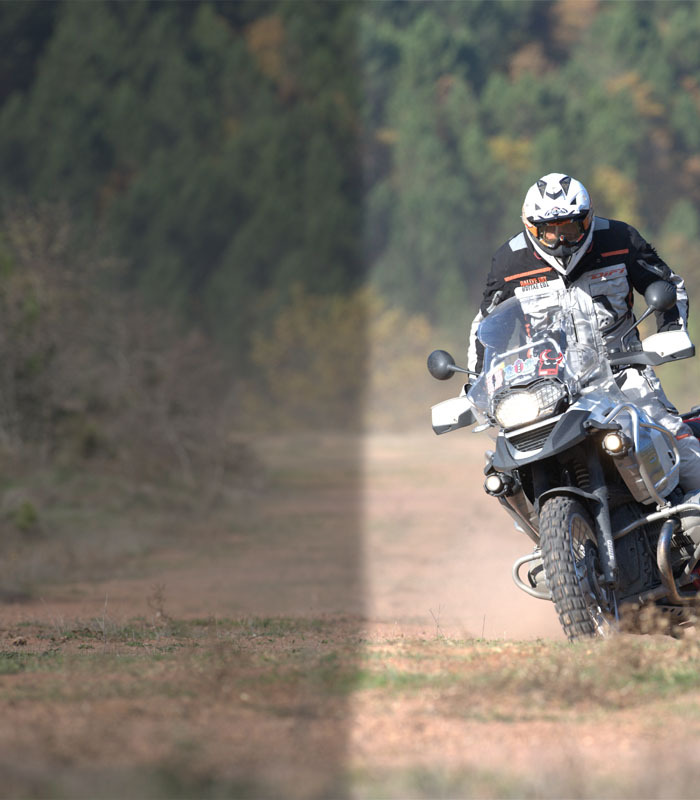 Ultimately, the outcome of these experiences related to whether the riders were responsible adults or not , the pillion concerned and the circumstances of the ride. It was felt that no two passengers are identical and no two journeys are the same. A distinct need to secure the passenger was considered imperative. We are thus pleased to be able to offer a solution to this concern, the Grip-n-Ride™ assist belts. Not only does the pillion feel safer but the driver is also aware if their pillion is holding on or not. Doubling as a kidney belt, the Grip-n-Ride™ belts provided lumbar support for the driver and can be worn with or without a passenger. Grip-n-Ride™ is the shared passenger experience; the way it should be. • Allows freedom for the driver. 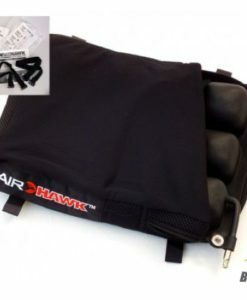 • Easy for passengers of all ages and size to comfortably hold on. • Perfect for children to finally enjoy a ride on the bike. 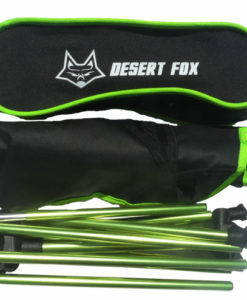 • Can be worn with the grips to the rear or to the front of the driver providing extra security for the passenger. 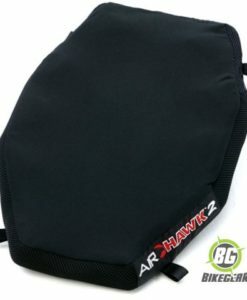 • Allows the driver to wear a backpack and comfortably carry a passenger. • Designed to be worn as a kidney belt with or without a passenger. 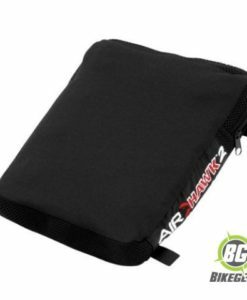 • Provides lumbar support for the wearer. • No longer have a helmet jammed into your back. • No longer cling on for dear life to the driver. • Strong Uni-strap design with patented “stays” behind the grips ensuring a solid hold. 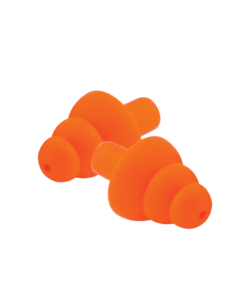 • One size fits all and fully adjustable. • Secures to the wearer by Velcro and a buckled strap. • Pocket for an iPod™, Mp3 player or mobile phone. 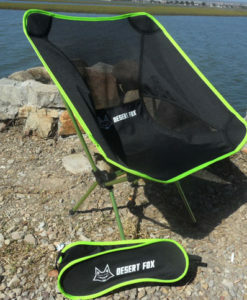 • Lightweight and durable with breathable material for comfort. 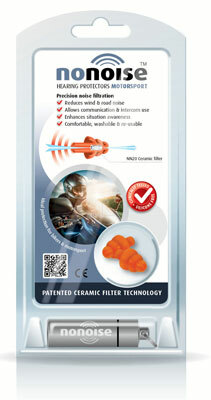 • Highly visible reflector trim for safety at night. • Made of waterproof materials. 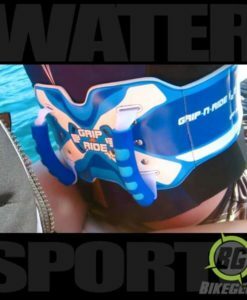 After reviewing this product, I believe that the Grip-n-Ride belt with its patented grips for passenger comfort and safety is by far the best and most unique product on the market in terms of lumbar support as it relates to drivers of motorcycles, ATV’s and personal watercraft. Treat your lower back to a perfectly naturally shaped luxurious lumbar support on any type of Power-sports vehicle. In my professional opinion, this product will provide critical support to the back and abdomen by reducing discomfort and pressure on muscles and joints while keeping the spinal column aligned for better and healthier posture. This product doubles as the perfect kidney belt for all Powersports enthusiasts. Dr. Kristeen Lester, D.C., D.A.B.C.O.